Other than their appearance, the new HDJ-2000-Ks are identical to the original HDJ-2000s and offer the same level of clarity with clear separation of sound thanks to a high-fidelity frequency response of 5Hz to 30,000Hz, regardless of background noise. Distortion is eliminated completely, even at sustained high volumes, thanks to the capacity for 3,500mW of input. The HDJ-2000-Ks’ 50mm driver units and high-flux magnets create outstanding resolution, while a 38 micron thick diaphragm delivers plenty of bass. A voice coil rolled at the optimum width and frequency, meanwhile, produces excellent balance from bass to treble. Plus, the ear pads’ damper and airtight stitching deliver excellent sound insulation. The HDJ-2000-Ks’ rugged but lightweight material and DJ-friendly swivel/fold design make them perfect for prolonged wear. Snug-fitting, heat-sensitive ear pads - made from synthetic protein leather and low-rebound urethane foam (memory foam) - offer excellent sound insulation and comfort during long sets. One-ear monitoring is also a breeze thanks to the headphones’ convenient STEREO/MONO switch and flexible headband. 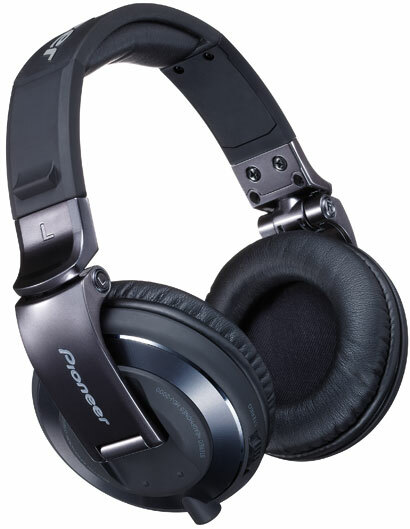 The HDJ-2000-K headphones and the HDJ-HC01 carrying case, which is sold separately, will be available later this month (March 2012) at a SRP of £269 and £21.99 respectively.